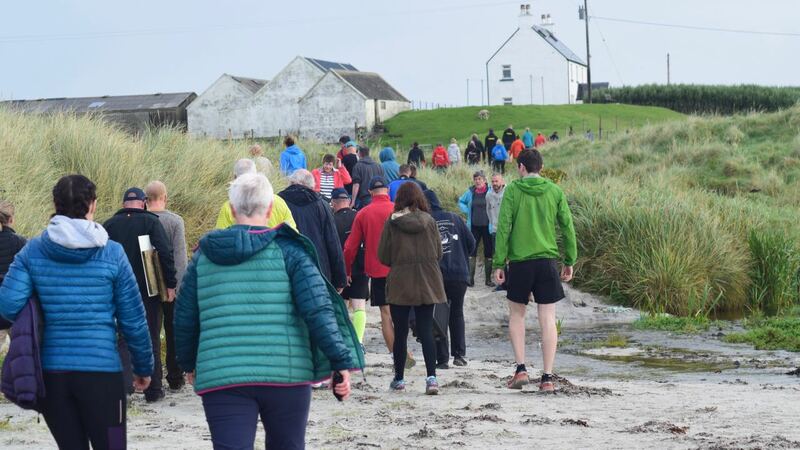 The Tiree Ultra Marathon is ultra in so many ways. For a start there is the beautiful island location. It is friendly and has a family atmosphere. It is competitive and yet supportive. Runners look out for each other. From before dawn until after dusk it was the ultra day. How we appreciated the sunrise over Scarinish. Wow! Just look what’s in my goody bag! The afternoon before the Ultra is registration time. Runners must collect their race number, goody -bag and T-Shirt. Registration culminates with Will’s welcome and the important race briefing. What a stunning starting point! The starting point is the spectacular Soroby beach. There is just a hint of rain in the air. Will the runners get soaked? Race organiser Will Wright leads the countdown. All join in . . . 10 -9-8-7-6-5-43-2-1- Tiree. It appears another race has begun. Like the main race, the finishing point is at An Talla. This year the cafe is opening early, especially for those left behind. An Ultra-Marathon is beyond a marathon. 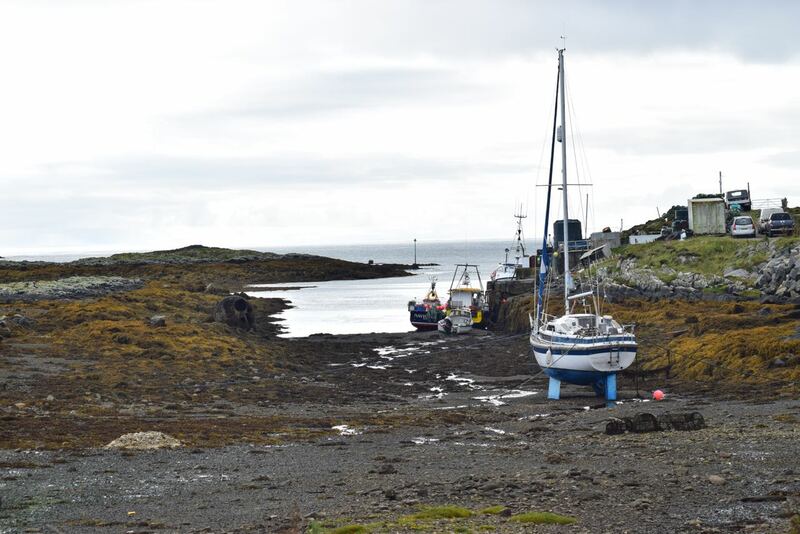 Tiree’s Ultra Marathon is 35 miles long around the island. It is over beautiful sandy beaches, bogs, hill-sides and along roads. At strategic points on the course race marshals are stationed. There are three specific check points and feeding stations. Many islanders volunteer for this vital service. The final check point is at Milton. Don’t believe those who say there no midges on Tiree. With no breeze the water was flat calm. Race organiser, Will Wright is Mr Encourager. 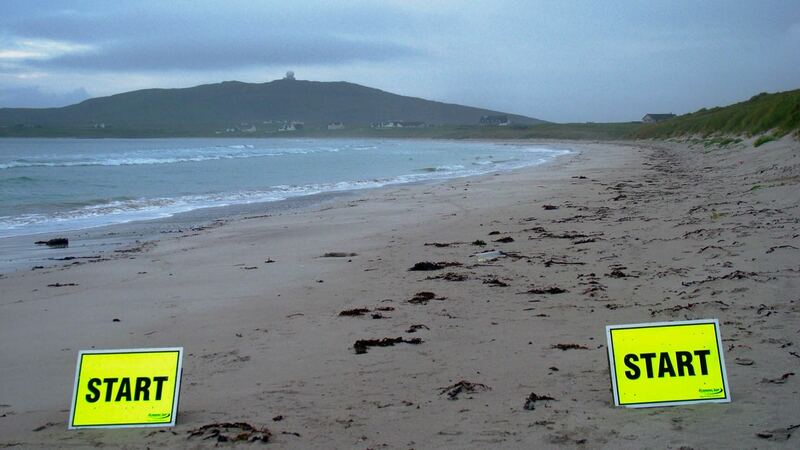 On the Tiree Ultra Marathon encouragement appears catching. 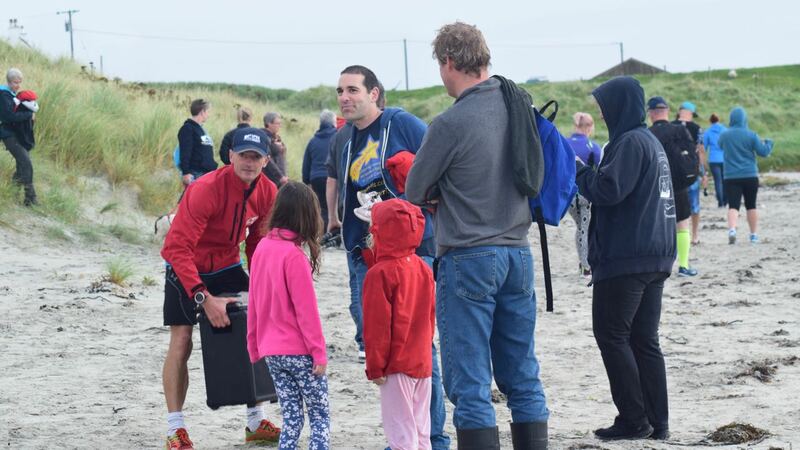 Islanders, Race Marshals and Runners all shares encouragement. There were many instances of runners selflessly looking out for each other. Becky Wright of Chocolates and Charms and her team did an ultra stint in the cafe. From before 8:00 in the morning until gone 10:00pm they ran their race. With last runner safely home – let the ceilidh begin. The local Cornaig Ceilidh Band provide the live music. Amazing what tired limbs can still do as runners take to the floor. Who will stand on the podium? 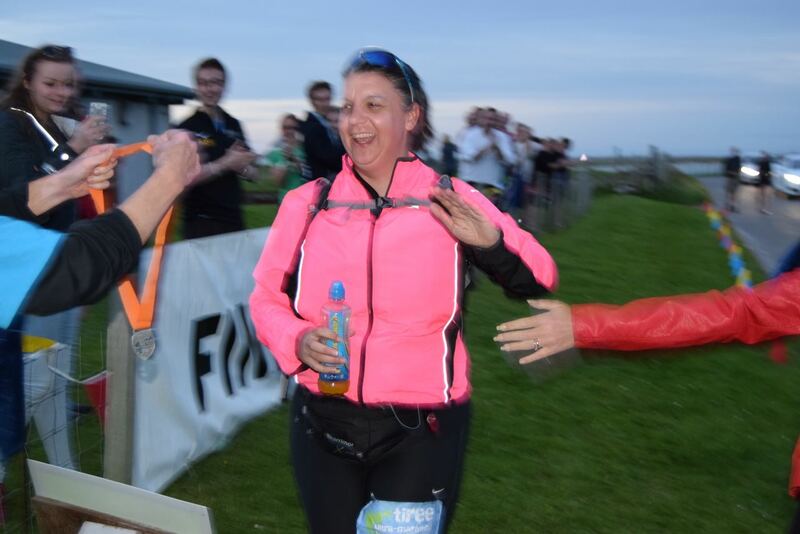 In the Tiree Ultra Marathon everyone is a winner. As runners cross the finish line they receive their medal. 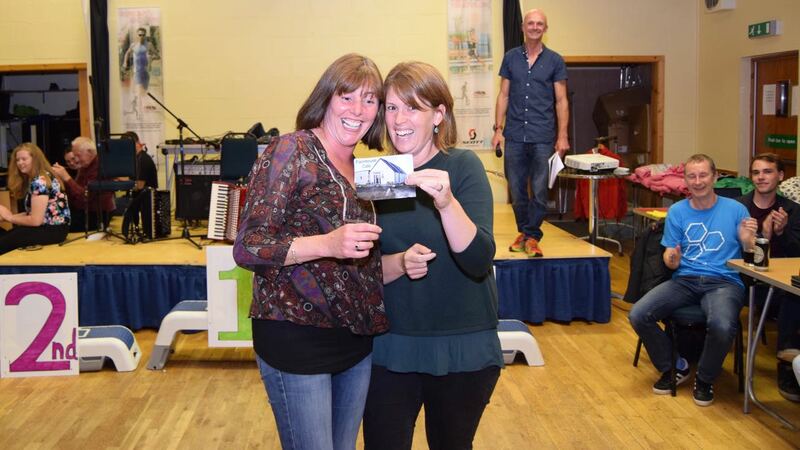 The high point of the evening’s ceilidh is the Awards Ceremony. With a typical Will touch there are spot prizes! How did number 100 sneak in here? They have progressed through the races. Beginning with the 10k, then the half-marathon and now the ultra! The morning after the day before. What a difference twelve hours can make. We woke this morning to the wind gusting to 51mph. The waves were crashing and breaking on the rocks with great force. This morning’s plane was cancelled.